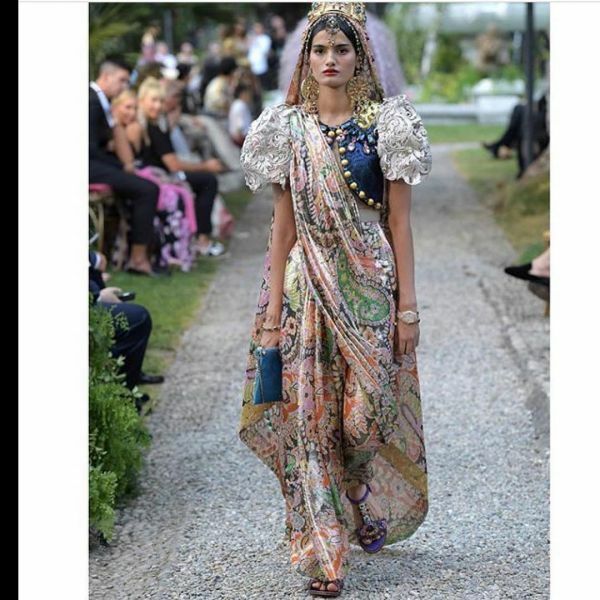 This Indian Model Draped & Wore A Dolce & Gabbana *Saree* For Their Haute Couture Show! It's always good to see Indian culture and, especially, the Indian fashion culture being appreciated by artists across the world isn't it? 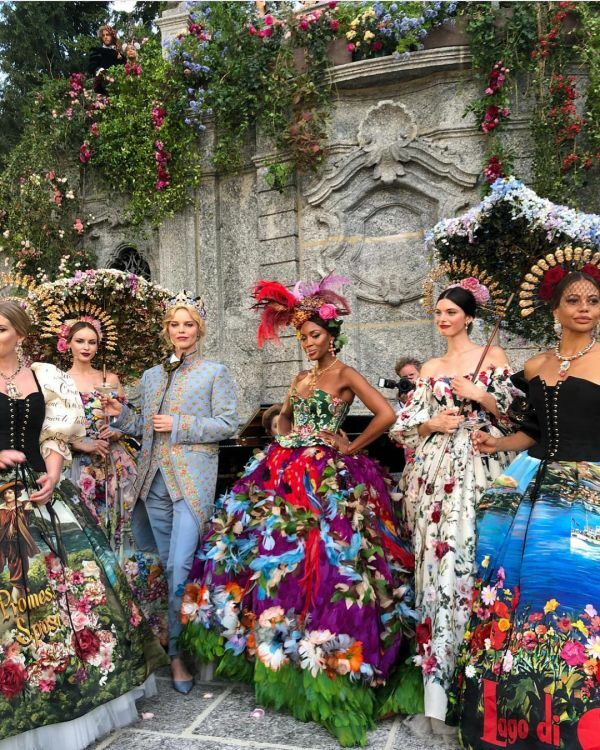 A couple of days back, one of the world's most luxurious designer label hosted their Alta Moda show by Lake Como in Italy - Dolce & Gabbana. 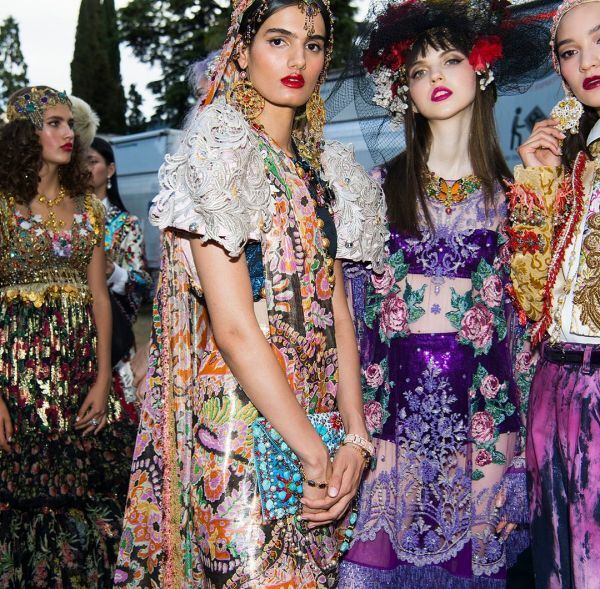 Domenico Dolce and Stefano Gabbana's haute couture show was a spectacle for many reasons. The dreamy location setting, elaborate headdresses and the clothes, of course. Speaking of which, there was a particular garment on the ramp that caught our (and the world's) attention. Dipti Sharma, an Indian origin model, wore a printed pants-saree draped over a cropped jacket with poofed sleeves... completed with the traditional way of draping the pallu over the head. Even though the whole look was an improvisation, Dipti mentioned that 'their idea of an Indian royal princess in Dolce & Gabbana style finally came to reality'. 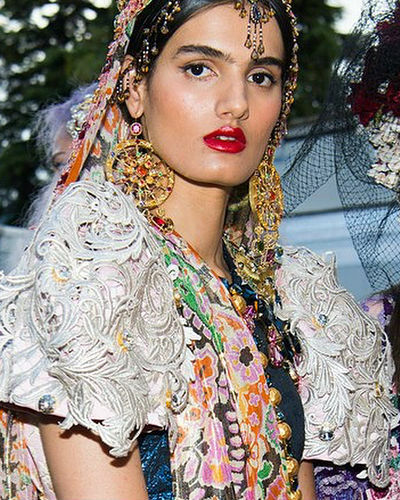 Dipti's look did, indeed, look like it was the best kind of balance between Indian and Italian gothic. Her jewellery was worn Indian style - including a maangtika - but the design was undeniably a Dolce & Gabbana's signature. 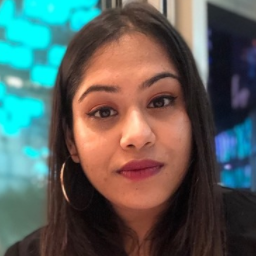 In an interview with The National, Gabbana revealed, "We have a model, an Indian girl, and we told her: 'We'll give you a piece of fabric and you do, by yourself, the sari and after that, we'll customise the outfit. We love the tradition. In this case, we love to put our touch on the Indian tradition." We're in love with Dipti's look, HBU?